Milwaukee, Wisc. January 18, 2018 — NEWaukee is proud to announce The Big Impact, a new program meant to change the way people engage with philanthropy through an engaging, crowdfunded pitch event at the University Club of Milwaukee City Club on Wednesday, March 21st from 6-9PM. Attendees will pay a $25 ticket fee to hear five pre-selected pitches from different individuals, nonprofits, and community organizations. Groups will have ten minutes to pitch their project and take questions from the audience, attendees will then vote for their favorite project. The winner will receive 100% of the ticket sales to help their project come to life. Submitted projects must be within a $1,000 to $10,000 budget and must have a completion date within one year of winning the funding. Projects can range in scale and size, but must have a focus on building and impacting the Milwaukee community in a positive way. 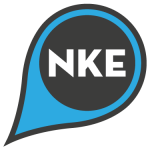 The project application deadline is Wednesday, February 7th and the application can be found on newaukee.com. The Big Impact will take place on Wednesday, March 21st from 6-9PM at the University Club of Milwaukee City Club and is a 21+ event. For more information on The Big Impact, to submit a project, and to purchase tickets, please visit newaukee.com.